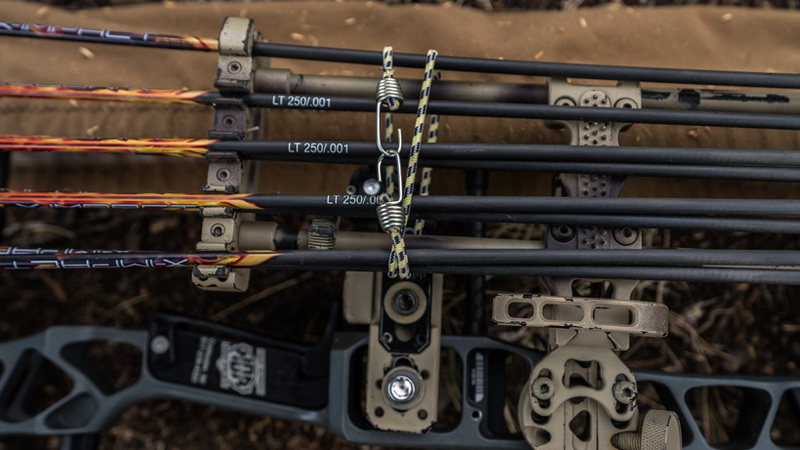 When it comes to bowhunting, sometimes the best way to have success is to prepare for the worst. The mountains are tough on equipment. 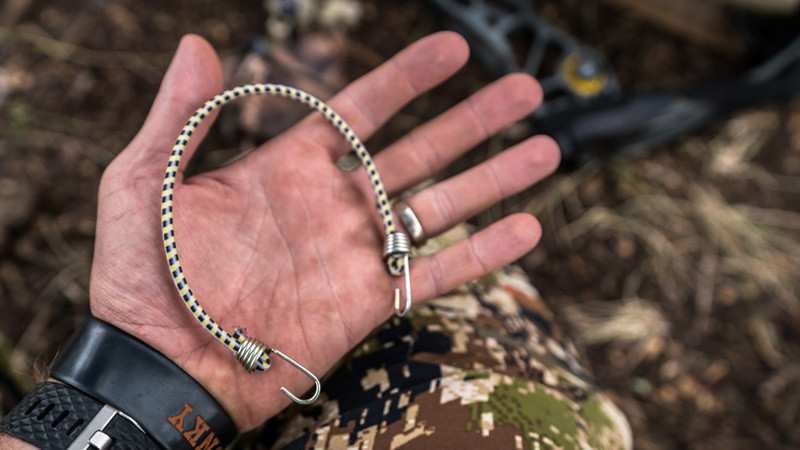 Every rock and log you encounter has a chance to roll from underneath you and cause you to slip and fall which could be devastating to your bow equipment. The best method in these circumstances is to protect your bow at all costs which is why I'll use a bow sleeve to protect my strings and cams. But sometimes, protection isn’t enough and a bowstring sleeve doesn't protect your arrows. I’ve fallen on my bow several times and it’s held up perfect. Back in 2013 when I was bowhunting for moose in British Columbia, I was even bucked off my horse two times. And to top it off, the first time I was bucked off on that hunt was day one of the trip! That could have completely wrecked my bowhunt if I wasn’t prepared for the worst. You never know when these freak accidents may occur, so I try to always have backups. In this case, I’m talking about carrying extra arrows with you on any backcountry hunt. Yes you may have a quiver full of 5 to 7 arrows. 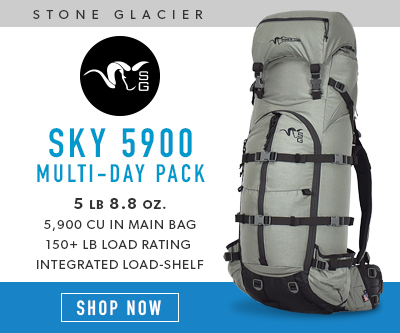 But what happens when you are nine miles deep into the mountains and six of those miles were bushwacking off the trail and you only brought a quiver full of arrows? If you fall and land directly on your quiver and snap four of your five arrows and you possibly put a hairline fracture in your 5th arrow. Are you now going to leave it up to chance when the moment of truth presents itself? I certainly wouldn’t! Which is why I now pack more than one quiver of arrows with me on all of my backcountry hunts. 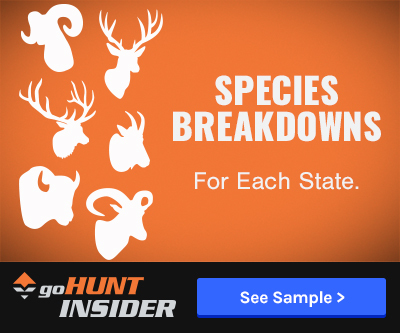 If you were hunting 2-3 miles back, then you could easily just hike back to the truck. But still, why waste precious hunting time? Quivers are designed to hold a specific amount of arrows. 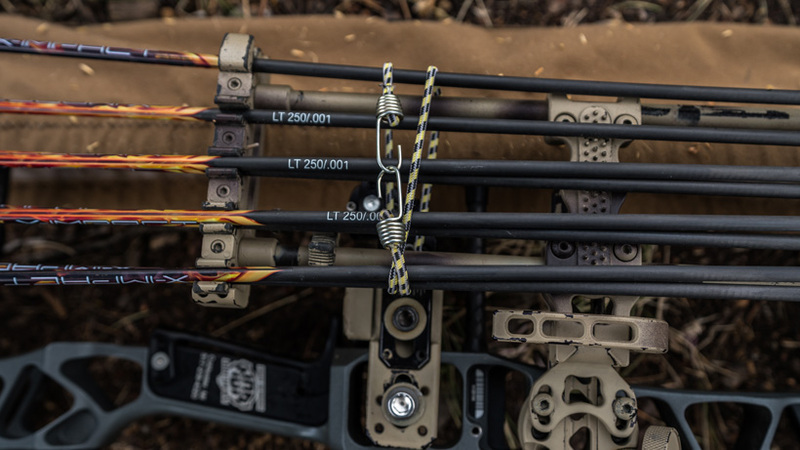 The quiver keeps your arrows secure, silent and at the ready. But, your quiver can hold more arrows than you might think. 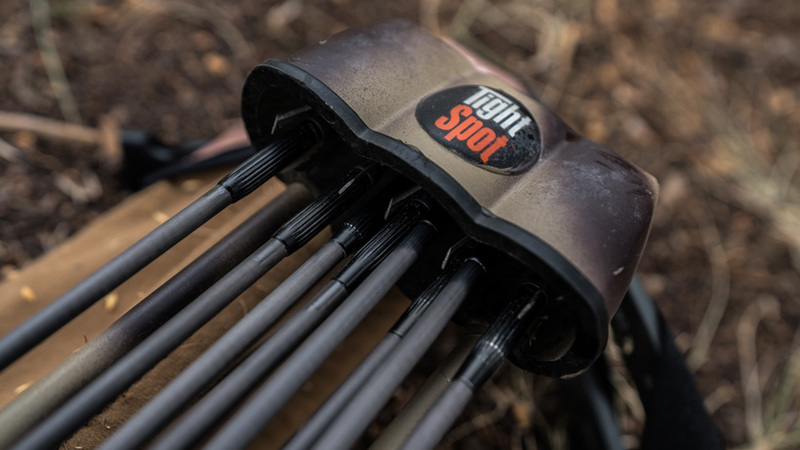 I’ve been using a TightSpot 5 arrow quiver for as long as I can remember and I will actually now pack eight to nine arrows with me on a backcountry hunt. Those extra arrows I will leave back at camp throughout the hunt. You'll notice in the above image that the two orange arrows are pointing to two arrows in the same slot on the TightSpot Quiver. On my TightSpot quiver I will place my five arrows in the arrow keepers, and then I will place another arrow on top of that arrow in the little keepers. Then I will just place the point side of the arrow in the hood next to my arrows with broadheads. Some of these arrows will have no point and others might have a field point. 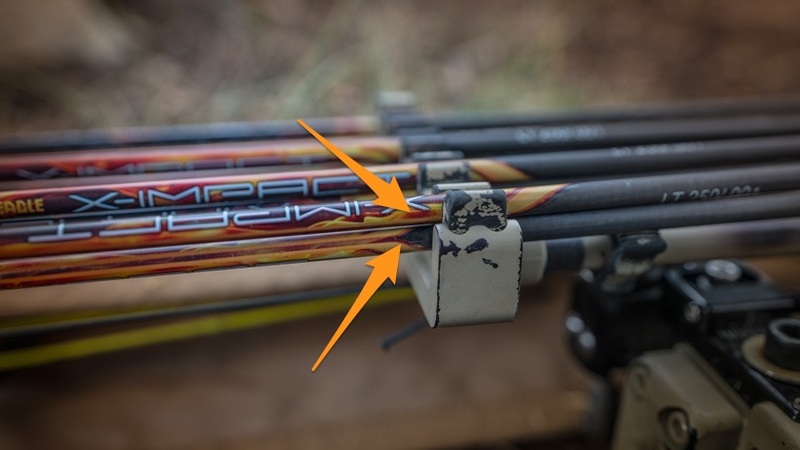 To secure the arrows, I will take a small bungee cord and wrap it around the middle of the quiver near the crossbar. A couple of wraps are all it takes and the extra arrows will be fully secured. This system allows me to strap my bow on my backpack in the arrow-up position and pack extra arrows to my campsite. Once at camp I will remove the bungee cord and leave the extra arrows at camp each day. 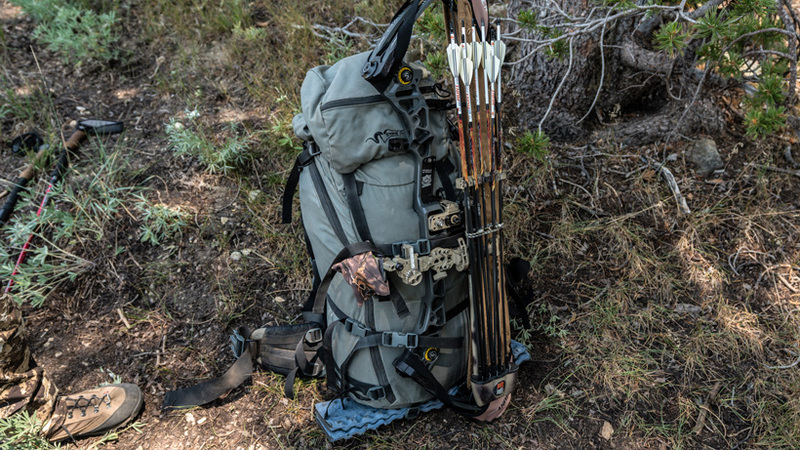 If I’m going to pack my camp around each day, but still want to hold my bow in case I bump into an animal, then I’ll just attach the extra arrows on the side of my backpack near my tripod. 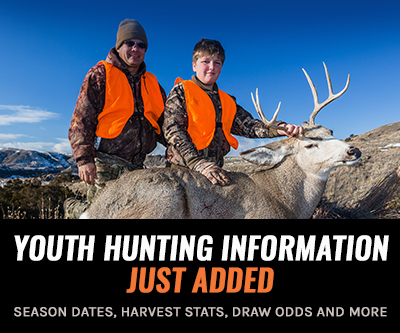 This is just another way to think outside the box to help when things go wrong on a hunt. Along those same lines, this is a great way to carry extra arrows to camp so you don’t have to purchase a larger arrow quiver. Also, if you don’t mind the extra weight, you could always pack extra arrows with you in a dedicated arrow tube. This was the method I used on my British Columbia moose hunt to pack a bunch of arrows in camp in case I fell and broke arrows while hunting. Thanks Brady, have you considered putting a couple of arrows without broadheads into the main compartment of your pack? I'd be interested if you have had a negative experience with that system (it's definitely lighter than carrying a dedicated arrow tube).